One familiar face will be missing on the next season of The 100. 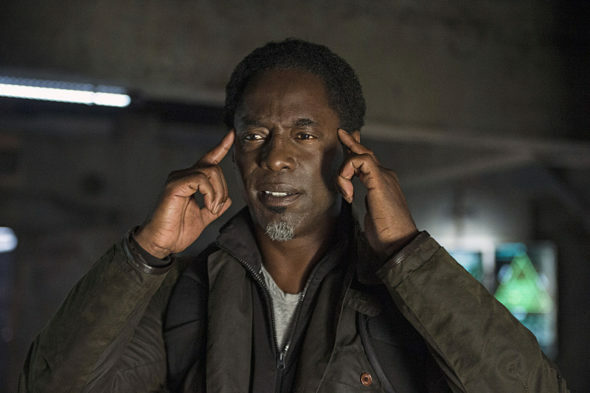 According to TVLine, Isaiah Washington will not be returning as a series regular for season five of The CW series The 100. Washington plays Thelonious Jaha on the dystopian drama, which follows a group of young people who are sent back to Earth nearly 100 years after a nuclear Armageddon destroyed civilization. The cast also includes Eliza Taylor, Paige Turco, Bob Morley, Marie Avgeropoulos, Devon Bostick, Lindsey Morgan, Christopher Larkin, Richard Harmon, Zach McGowan, and Henry Ian Cusick. Season four of The 100 airs its finale on The CW on May 24th. What do you think? Do you watch The 100? Are you sad Washington is leaving? Well it is about time They got rid of him ….. I see a much better show now that the problem maker of THE 100 Will be gone! I can’t stand him in any role he has been in. Yes very unhappy that JaHa is leaving the show. He is the only strong male figure black that portrays intellect, empathy and courage on the show. This is a big mistake. Heed my words. Washington leaving puts a huge hole in their entire show. He has carried it from Season 1 to now! I am a true fan but his character brought me back to watch time and after time. It was bad enough when you killed off Lincoln very unhappy about that also. Now you take away JaHa Shame! Well it is about time They got rid of him ….. I see a much better show now that the problem maker of THE 100 Will be gone YESSSSSSSSSSS !!!!!!!!!!! Thanks CW for the AWESOME NEWS !!!!!!!!!! @John Have you watched from Season 1? If not go back and check it out on Netflix. Its awesome. JaHa made the show then and he does now. Sorry you feel otherwise. Its your opinion and I respect that just wish you could see how his character has carried the 100 this far. Have you watched from Season 1?? Check it out and let me know what you think of JaHa character. Let it go some of us just never liked his character. I am one who is glad to see him go.